Fashion Gossip: Could Cartier put an end to fashion spoofs? Could Cartier put an end to fashion spoofs? Jewellery brand Cartier have taken legal action after a New York student produced a profane spoof of their branding. Over the last month or so the fashion market has become flooded with 'parody branding' - when famous, iconic logos are taken and given a comical twist, such as What about Yves? 's 'Ain't Laurent without Yves' tees, Reasons' 'Celine (Dion)' branding, Conflict of Interests' 'Ill Sander' logo and Brian Lichtenberg's 'Homies' play on Hermès. Celebs have got in on the trend too, with the likes of Cara Delevingne and Rihanna sporting various spoofs and boosting their popularity further. But now it appears the trend may have gone too far, with luxury jewellery brand Cartier taking one such jovial spoof to court. The brand in question is KTHANKSBYE, which was set up by a Parsons The New School for Design graphic design masters student known only as Fahad. 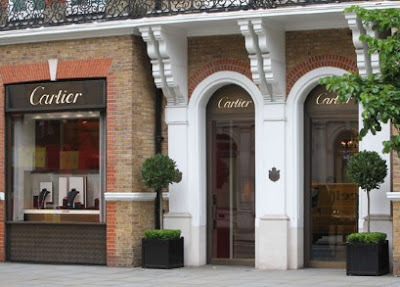 Fahad created a small range of baseball caps and knitted beanies featuring a profane play on Cartier's branding (hint: swap the 'ar' for 'un') using the same typeface and brand colours - an idea which sprang from a friend complaining about the jewellers poor customer service, reports The Daily Beast .